Mercer Blue in its second season is already a customer favorite. We pre-sold many ot the items before they arrived and the new soft sport coats are an amazing compliment to any outfit. It's sophisticated sportswear that makes everyone look better says Richie Gillespie, sales consultant and Bespoke Manager. 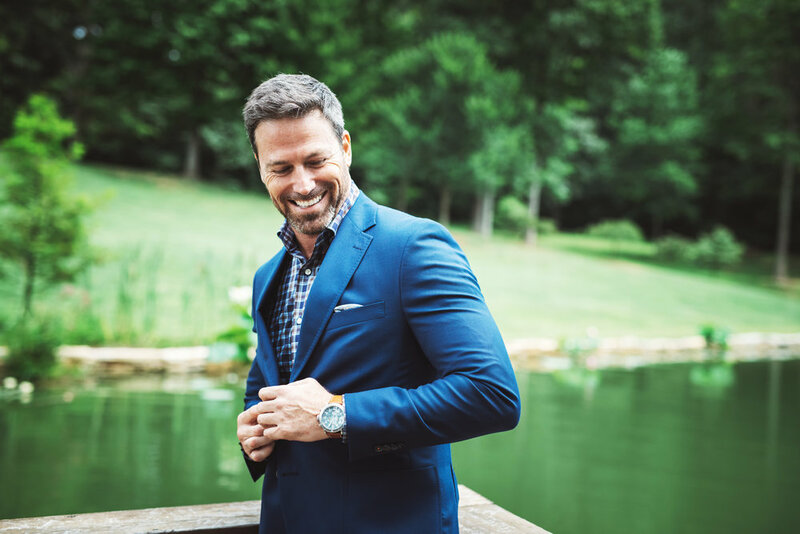 Mercer is an old English word meaning a dealer in fine textiles and blue is the color of all that is both classic and cool—jazz, your favorite blazer, or vintage jeans. The Mercer Blue collection was developed with the expertise of the finest independent specialty menswear merchants in the country, The Luxe Group. Unlike online sites, department stores, and big box stores, the stores featured by The Luxe Group focus on developing relationships with clients. We’ll remember you the next time you come in, learn about your needs, and go the extra mile for you every single time.